Martin Luther King’s relationship with the Fellowship of Reconciliation (FOR) began during the Montgomery bus boycott, when FOR veteran Bayard Rustin and FOR national field secretary Glenn E. Smiley came to Montgomery, Alabama, to help support local efforts to challenge racial segregation nonviolently. King also developed a cordial relationship with former FOR chairman A. J. Muste, whose absolute pacifism King had questioned while a student at Crozer Theological Seminary. Pacifist Christians in England and Germany founded FOR at the outbreak of World War I as a way of working toward peace while their countries were at war. 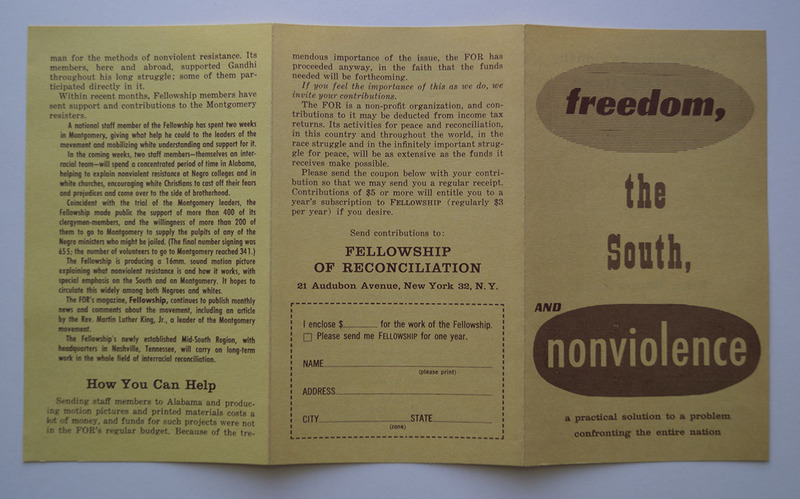 The U.S. chapter of FOR was established in 1915 and worked to support conscientious objectors. After the war, the organization expanded its mission to work for labor rights and an end to racism. FOR members helped create other organizations dedicated to anti-racism and national self-determination work, including the Congress of Racial Equality and the American Committee on Africa. 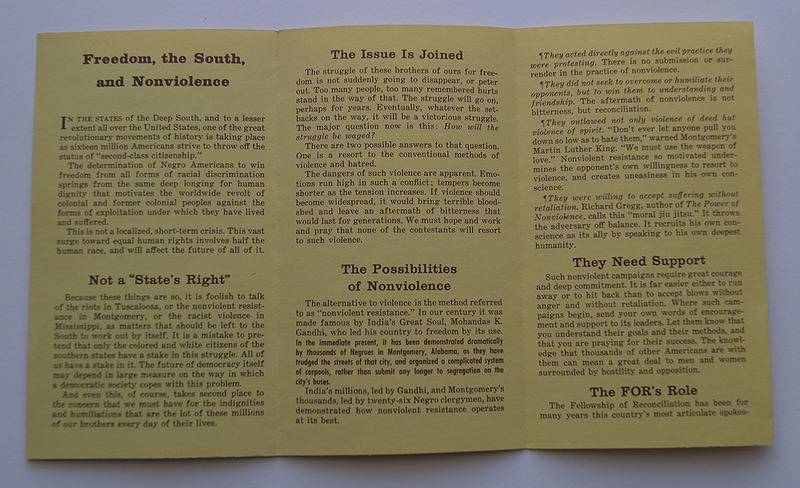 Former FOR staffers continued to offer training on nonviolence throughout the South after the boycott ended. FOR veteran James Lawson, based in Nashville, Tennessee, was especially prominent, offering workshops to participants in the Freedom Rides, church groups, and college students. 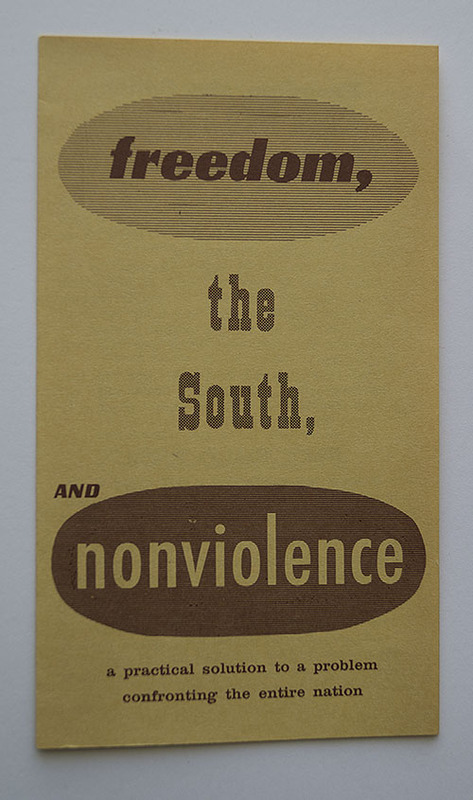 Although FOR members remained active in civil rights issues, in the mid-1960s the organization turned its attention to the Vietnam War. Through Muste, FOR encouraged King to speak out against the war and introduced him to anti-war activists such as Thich Nhat Hanh, whom King nominated for the 1967 Nobel Peace Prize. FOR raised money for medical aid to victims of the war in Vietnam and advocated the release of Vietnamese political prisoners.